We Did It! 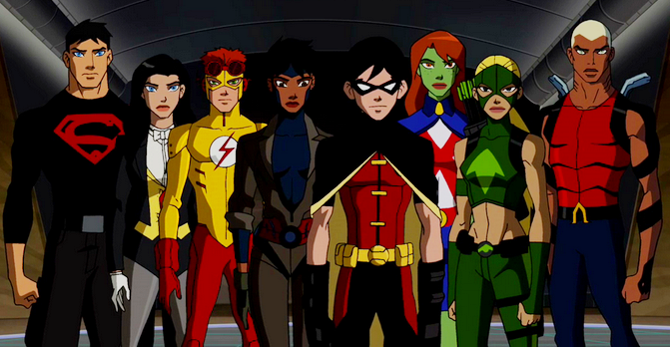 Young Justice Season 3 Is Underway! After petitioning, pleading and crying (probably), fans are finally getting their wish as Young Justice season 3 is set to return after season 2’s abrupt and uncalled for cancellation. The cartoon network DC comic show was officially announced to return via Warner Bros Animation, as they stated just how thankful they were for the fans in making this happen. Said, Sam Register the president of Warner Bros Animation. While the show was rumored to return for years after fans had wondered why a show as successful as Young Justice was cancelled after just two seasons, it was just months ago that Warner Bros executives said the binge watching of your favorite superheroes on Netflix could make a season 3 appear. Currently, there is no announcement on what network (Netflix or Cartoon Network) will debut the Young Justice League’s next season, but we do expect to get a lot more information on the new season soon. I personally can’t wait to finish Young Justice on Netflix as I know many fans who have been waiting for the possibility of a Young Justice season 3! Matt resides in Atlanta, and does everything through freelance writing and acting. Visit his movie site at CrazyForFilm.com for even more in depth movie fun ! Please contact: [email protected] for any inquiries.